Indian food and Bulgaria. Kohinoor. Not a combination that most would think of. But this time I could not ignore a recommendation that has come by me so many times. And it’s not often that a recommendation is so understated as the Kohinoor Indian restaurant in Sofia. Booking was required a few days ahead for a Friday evening. Heading downstairs to an inviting dining room, a nice harmony of warm lighting and intimacy opened up. An almost perfect balance between Indian ethnicity and modernity. Some dining rooms just work and some don’t. This one from Kohinoor works so well. All of us in a our group of four were visiting Kohinoor for the first time. Rather crucially, apart from me, all were Bulgarian. And whilst three of us are enthusiastic about Indain cuisine in general, the fourth, Mladen, less so: but was open to give it a go. Alexander, approached us with smiles and a warm welcome. A sense of anticipation descended. Well I had a curry salivation moment — you know the feeling? 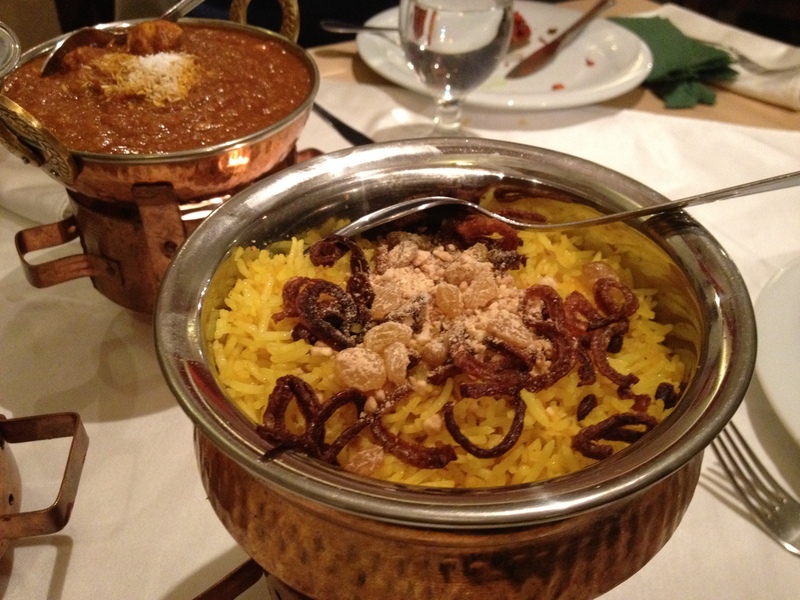 More below about how Kohinoor came about through the owner spending years in the UK — and falling in love with the British national cuisine of curry. After explaining that the garam masala is made by the chef himself. Ground from spices sourced, in the main, from London, my mouth was watering even more in anticipation. It had been a long time since I had a curry. Two weeks is a long time for me. And much longer since I’ve tasted anyone else’s curry except my own. Sometimes making a food decision is a step too far. It was one of those evenings where I was more than happy to be lead by Alexander. A good move. A chicken madras (12.90 lev), tandoori chicken (11.90), dahl makhmi (8.90 lev) reshmi kebab (11.90) were all nicely presented on warming lamps. Pilau rice (6.50 lev) The recommendations were all good. Perhaps another time will be trying the prawn or fish. But no regrets on the feast that lay before us. In simple terms if you picked twenty Indian restaurants in London, and if this Kohinoor was amongst them, you would rank this Sofia Indian restaurant in your top three. Maybe it’s because Indian food is not so well established in Bulgaria, but these guys impressed me. Alexander, made top recommendations and we went with all of them. Now 32, Bogomil, (“Booggy”) went to UK for four years. He went to the UK to study “A” levels, St Edmonds College. Herts. He then went on to Brunel University to study Economics and Finance. After taking a two year break from the UK in Bulgaria, Boggy then studied for a further 2 yrs at the University of Portsmouth. In all his times in the UK visiting the local curry restaurants was a favourite past time, and his taste for all things spicy developed as did his passion for cooking in general. By 2007 there were only two restaurants left in Sofia. Boggy always wanted a restaurant and it so happened after one evening after taking some friends to an Indian restaurant in Sofia he realised, from his time in the UK, that it Indian food in Sofia should be so much better. In Feb 2008 rented a premises and opened 31st March 2008. He needed an Indian chef so he contacted the Indian Embassy, and as luck would have it there was an Indian chef, living in Bulgaria for 14 years, who was keen for work. After the first demo meal, all was not so good. But after much fine tuning, which continues to this day, with regular menu updates the Kohinoor formula worked. The Kohinoor: name by coincidence or destiny? The Kohinoor name was suggested by the wife of the then incumbent Indian Ambassador. Boggy went back to his favourite Indian restaurant in Uxbridge recently. And then a shock when entering his local curry restaurant of those past years. The name, not something you remember whein it known as the curry house, was called Kohinoor. Such a shock. A coincidence! So Kohionoor continues to thrive with a very loyal following from all new Bulgarian converts mingling with Indian students from the US, studying medicine in Sofia. 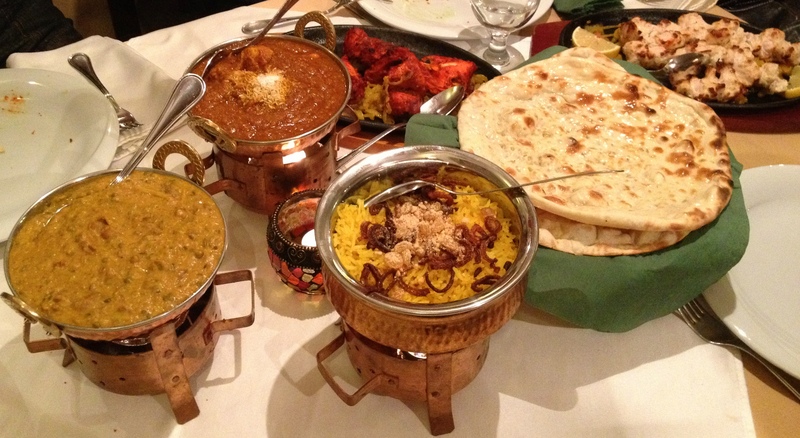 Fresh clean flavours, great naan breads, proper hot madras, ambiance and impeccable service. There are two tables where the reception from Globul mobile operator is no good. I’m nit picking. But who want to be on the phone when the food is this good? 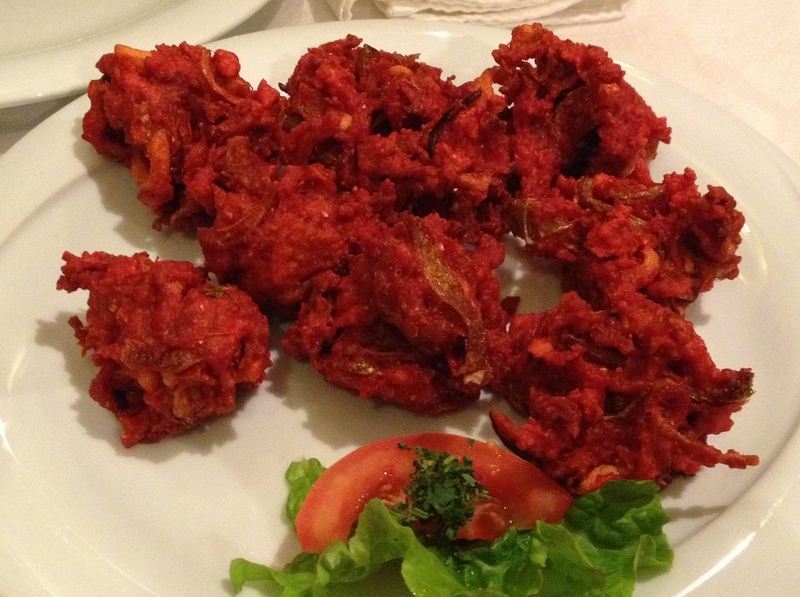 Indian restaurant Kohinoor has relocated to a new address – Sofia 1463 at 7 Knyaz Boris I str. – close to NDK.